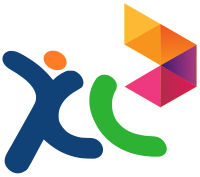 XL Axiata - PT XL Axiata Tbk, Doing business as XL (formerly PT Excelcomindo Pratama Tbk), is an Indonesia-based mobile telecommunications services operator. The operator's coverage includes Java, Bali, and Lombok as well as the principal cities in and around Sumatra, Kalimantan and Sulawesi. XL offers data communication, broadband Internet, mobile communication and 3G services over GSM 900 and GSM 1800 networks. Initially XL provided cellular mobile telephony services using the GSM 900 technology. A few years after launching services, the company was awarded a license for implementing a DCS 1800 network, and to operate an ISP and VoIP service. In 2006, XL obtained a 3G license, which services launched in September of the same year. At the end of 2010, the company has more than 40 million subscribers with more than 22,000 BTS towers across Indonesia. Assess the internal process effectiveness of Management Control System (MCS) in the appointed XL/experience center to ensure that XL/experience center deliver committed quality of customer service excellence. Monitor and evaluate the service quality in XL/experience center to ensure that XL/experience center perform well as targeted in key performance indicator and comply with SOP, method & procedures. Educate the XL/experience center about the usage of KPI templates to improve service quality. Recommend the improvement activities by deliver report of audit and maintain the action log to the appointed XL/experience center to improve service quality. Calibrate & validate mystery shopper result by comparing data from vendor with observed result and check list to capture customer experience from XL/experinence Center.